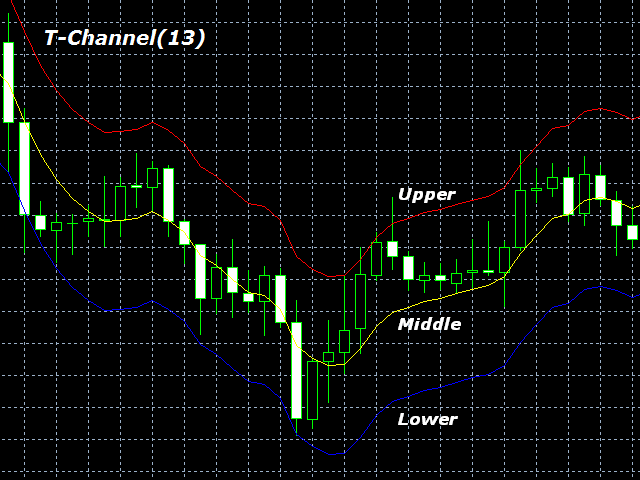 T-Channel is a technical indicator defining the current Forex market status - trend or flat. The indicator is based on TEMA (Triple Exponential Moving Average). 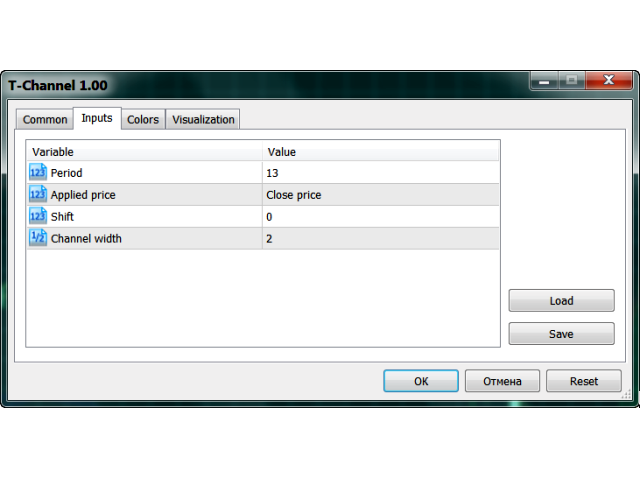 The advantage of the TEMA is that it provides a smaller delay than a moving average with a single or double smoothing. 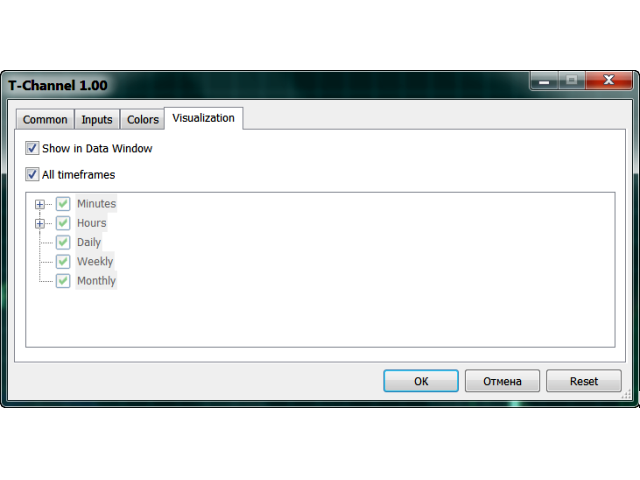 The indicator is able to work on any timeframes, but H1 and higher timeframes are recommended to minimize false signals. 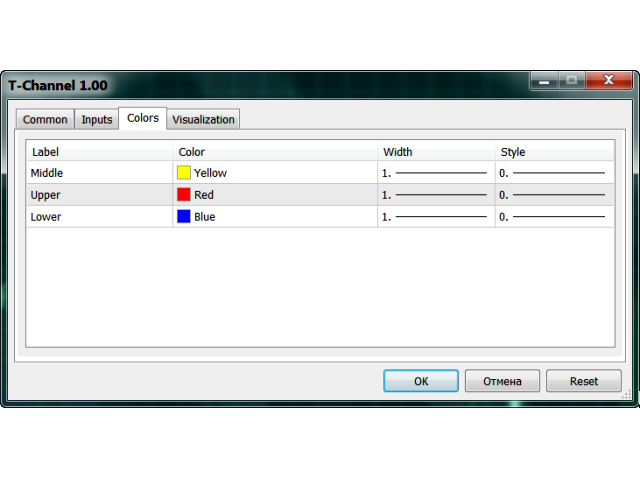 The indicator displays a channel as lines located above and below the middle line. The upper and lower lines can serve as the resistance and support levels. Sell when the price reaches the upper line, and buy when the price reaches the lower line. It is recommended to use a small stop loss to protect against false signals. vertical shift of the upper and lower lines relative to the middle line. 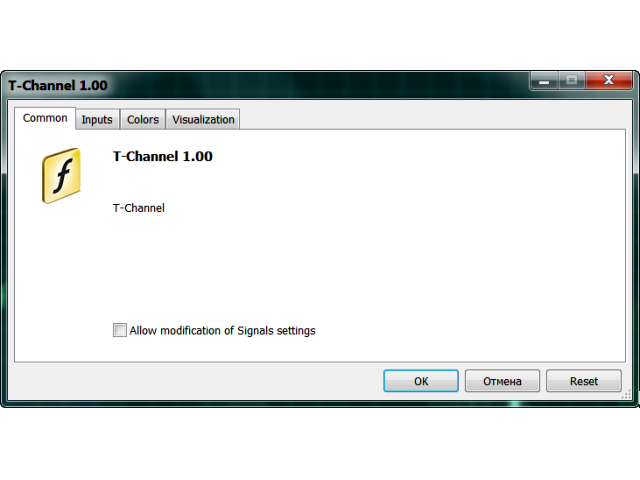 channel width - vertical shift of the upper and lower lines. CW - channel width (vertical shift of the upper and lower lines relative to the middle line).